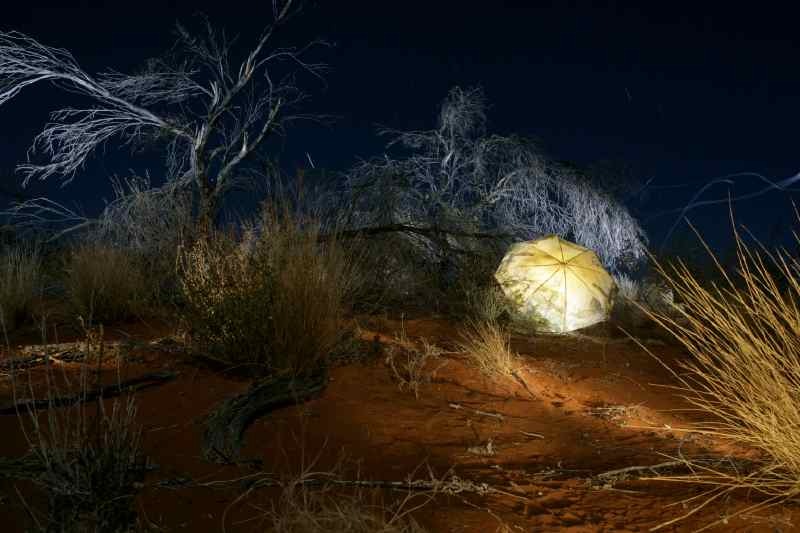 In July 2009, I travelled with photographer /husband Alasdair Macfarlane again, to the Simpson Desert area in far NE of Sth Australia. 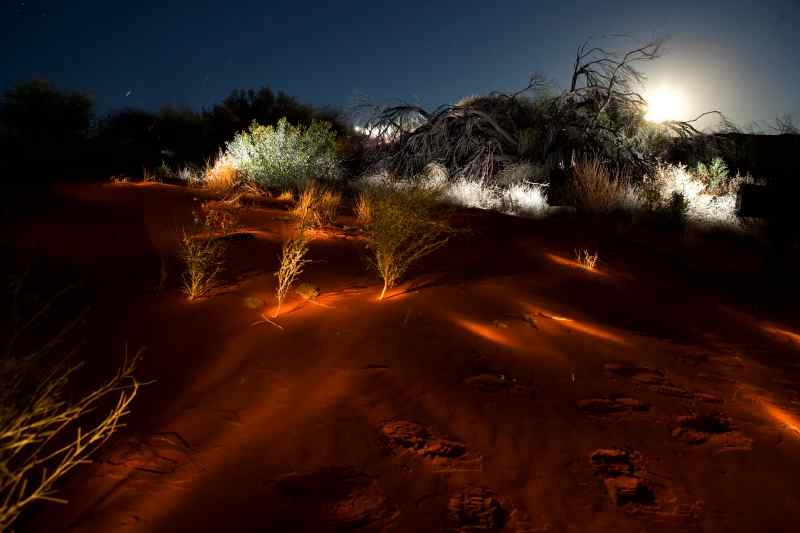 We camped among the deep red sand dunes of Cordillo Downs Station for 2 weeks, powered by solar panels, which ran our computers and fridge. When we ran out of food, we packed up and drove 180 km south to Innamincka. The Store was out of fresh food, but luckily a semi trailer (with supplies), was due next day. So we drove 15 km north to Burke’s Grave, near Coopers Creek. Burke, an early explorer, died here in 1846, beside a river full of fish and abundant birdlife. We thought he must have eaten poisonous food, as co-explorer King survived, living with a local indigenous tribe. I’m pleased with the photographs/video from this trip. Now that I’m back in Sydney, I’m researching/editing my images and video to find a meaningful context, while working on a 5.1 surround soundscape in the studio – it still sounds toooooo rhythmical and dense. I’ve just shot video (Sony Z1p HD) in the Green Chroma Key Studio, tracking around barbed wire from the Simpson Desert. The results weren’t too good. When I keyed the wire video over desert landscape video, the results were disappointing….. soooooooo far. I tried putting magenta gels over the sidelights to improve the separation, but this didn’t work, either. Surprisingly……… The emotional impact of my footage/photos appears comforting, full of colour, with interesting textures… whereas, I thought I was visualising the void, isolation (no people) and a wasted heartland… However, looking down at the desert floor, and not out to the far distant horizon, creates other emotions. My Moonlight Sonata Series (one image above), feels particularly romantic!!!!!!!!??? ?